I've been hit with 'Ferrante Fever' ever since I started reading her Neopolitan series in the fall of 2014. Ferrante is an elegant writer who has a masterful ability to capture those fleeting everyday thoughts in just the right way. 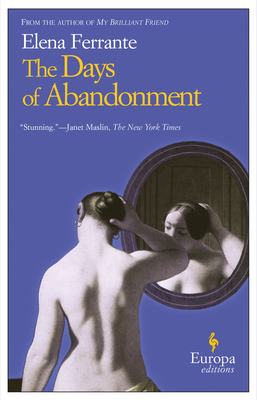 In Days of Abandonment Ferrante's prose shines even more intensely--it's raw, at times terrifying, and emotionally charged. After her husband leaves her, Olga struggles to reestablish the life she's put on hold to become a wife and mother. Fighting against regret, the agony of love and life lost, and the summer heat, she must relearn how to take care of her children, and more importantly, herself.